Click on the thumbnails to view full size work. Ian Thom notes that Snow Shadows, Grouse Mountain, a version of Grouse from 1928, is characteristic of the development of Weston’s style that emerged in 1923. 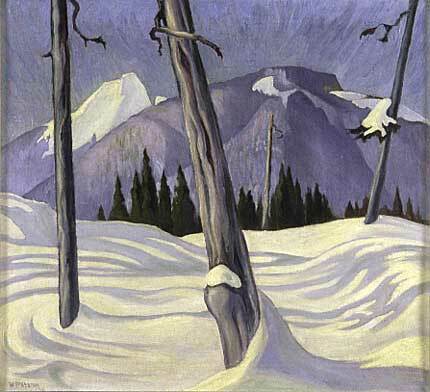 The 1930 version, Shadows Grouse Mountain, in this collection comes two years after he painted the other, similar work, towards the end of the second period.